Two of the country's biggest beef rearing businesses are throwing their support behind a campaign which aims to highlight the benefits of colostrum. The #ColostrumIsGold campaign, created by the Responsible Use of Medicines in Agriculture Alliance (RUMA), aims to underline that responsible use of antibiotics starts with newborn calves, lambs and piglets receiving the right amount of colostrum within a couple of hours of birth. The Livestock Auctioneers Association (LAA) and two of the UK’s biggest integrated beef rearing businesses, ABP Blade Farming and Meadow Quality, have announced their support for the campaign. 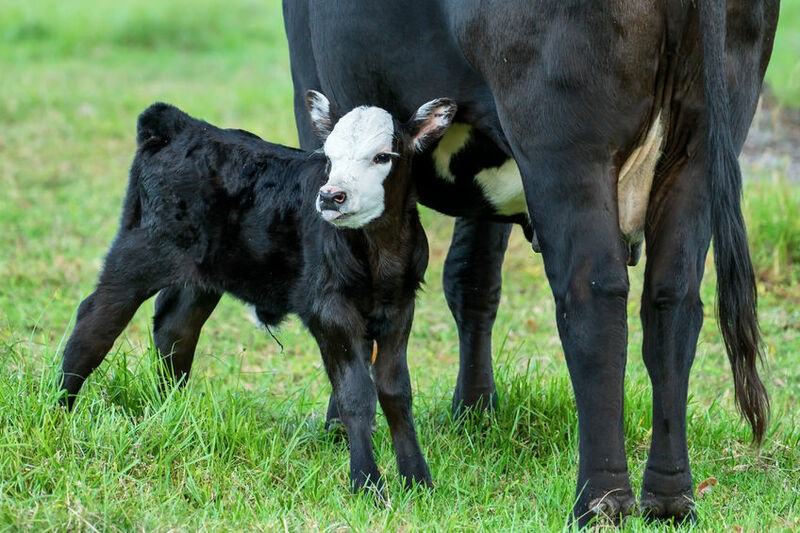 Cattle veterinary surgeon Tim Potter from Westpoint, who works with farms that rear calves for ABP Blade Farming, said: “Born without an immune system, newborn animals need to take antibodies on board through their mothers’ colostrum. He said a combination of this and poor quality colostrum means that less than a third of calves currently receive sufficient immunity, and the whole supply chain is losing out as a result. “We have a great opportunity here to reduce the need for antibiotic treatments through improved health and immunity, but also to increase daily liveweight gain and reach service or finishing weights quicker,” Mr Potter said. Matt Nightingale of Meadow Quality said that the dairy sector in particular has huge productivity gains to make by addressing an issue that most often just needs time and patience. “The difference good colostrum management makes is startling. Calves that have had the right quantity of the right quality colostrum quickly enough are far more productive animals,” he said. He said: “Giving calves the best start means they have better, healthier lives and they create more income in the enterprise, whether they are for breeding or for meat. The #ColostrumIsGold campaign will run throughout February and into March. This is the second time the campaign has run following its launch last year when it was widely adopted by the sheep sector.